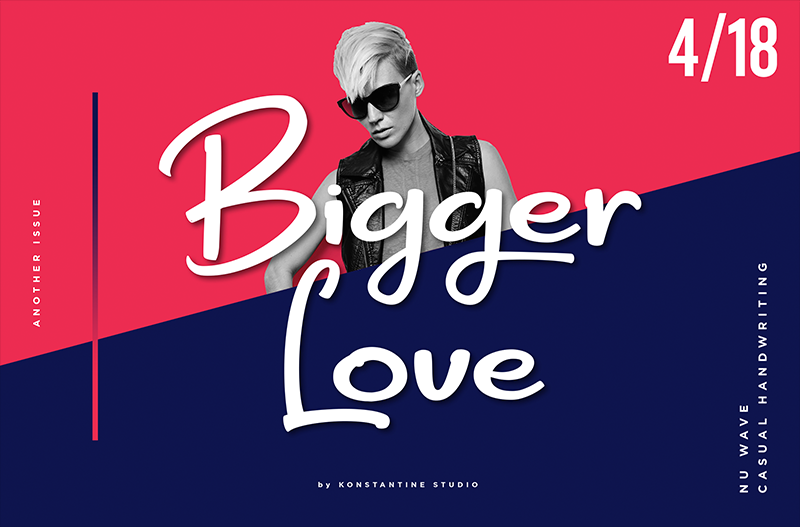 Bigger Love, A fine clean semi-script and handwriting font based on the real flow of scratch from the paper. It takes the handwriting font style to the next level, with still keep the casual vibes but luxury and glam as well. Perfectly fit for a logo, branding, title, headline, pair it with your favourite sans-serif fonts and you'll stand out classier than others.